The Burr Trail starts in Boulder, Utah and goes to both Capital Reef National Park to the north, and Bullfrog in Glen Canyon National Recreation area to the south. 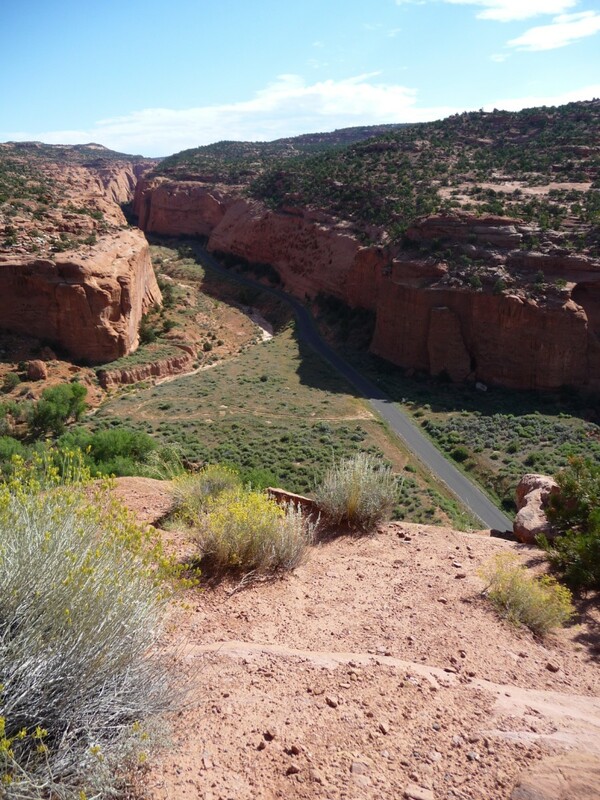 The Burr Trail is spectacular and about the first 30 miles is paved (up to Capital Reef Park border) and includes an easily accessible slot canyon (which locals refer to as Singing Canyon) in the amazing Long Canyon. 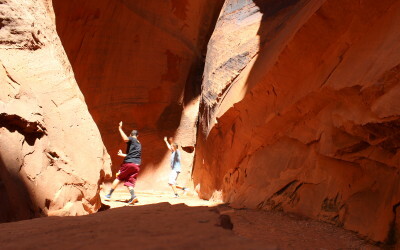 There are stunning landscapes to hike through including The Circle Cliffs, Wolverine Canyon, and The Gulch. The road is about 69 miles in its entirety. The Upper Part (the first 30 paved miles) includes Long Canyon (and the small slot canyon), Deer Creek campground, and some amazing views and hikes. Trailers and other long vehicles have a tough time getting down these. The Lower Part is graded dirt. There may be some wash board, but its easily passable by passenger cars during dry weather. Rain can sometimes render portions of the road impassable, as well as some flooding and may require a 4x4 vehicle or even rarely be impassable. Ask at the museum about the quality of the road. 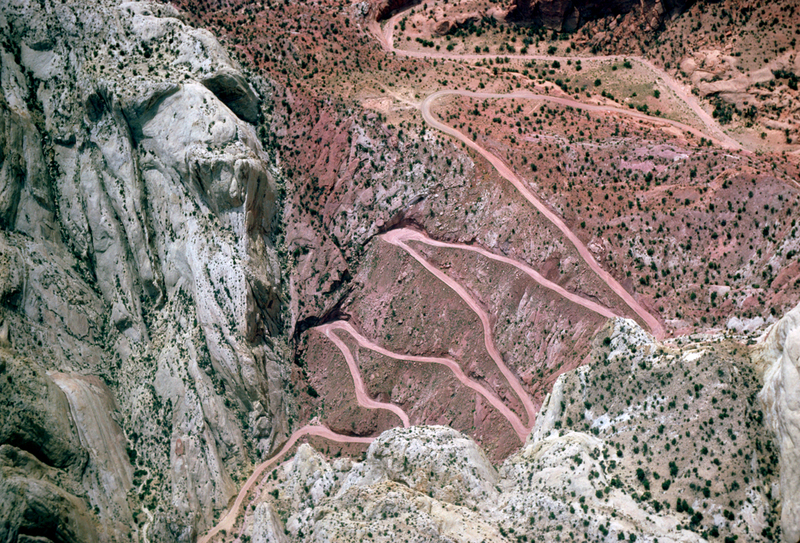 This section has the switchbacks which make it impassable for long vehicles such as 18 wheelers or even especially long and/or unwieldy vehicles and trailers. John Atlantic Burr, born 1846 on the SS Brooklyn in the Atlantic Ocean, the Burr Trail is named after him. 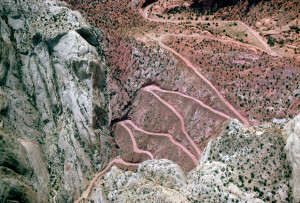 He founded the town of Burrville, Utah, in 1876 and then created a cattle trail to move between ranges and the market. 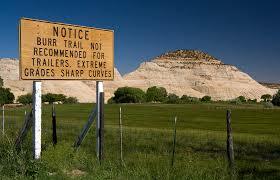 The trail went through Burr Canyon and came to be known as The Burr Trail. Temperatures are mild and hiking is pleasant during spring and fall. Daytime temperatures can get high during summer. Winter days are often mild. Wet weather can close this road at any time of the year. Want to see a map of Boulder, Utah with the Burr Trail marked on it? Below is a Google Map with the Burr Trail marked.